Thank you for your sharing your experience staying with us and regarding your input about the breakfast that not much choices, we will discuss this matter with our chef and improve our breakfast variety as soon as possible. Please rest assured that we are committed to providing exceptional guest experience and your satisfaction is our top priority, however, we understand that we have fallen short of that goal on food and beverage area that you have highlighted these issues will not deter you from returning and we certainly look forward to welcoming you back to Sense Sunset Hotel Seminyak to enjoy a memorable experience with us on your next visit! Arrived home with an unbelievable disappointment. I am so sorry to say this. I just arrived home with an unbelievable disappoinment. I stayed here for two nights and I can say almost everything in this hotel is hard to be liked. Start from the Check in administration at the reception, oh My God they did not even smile or greet you or recognize your presence. I had even think am I a ghost? for a moment. Unfortunately, my room was in the ground floor which is near the restaurant, it was noisy all the time. The room next to my room was a crazy noise. I do not know what to say about the staff, they walk in the corridor with screaming, laughing, don't they even know there are customers staying there? Did you really train your staff of how hospitality is? Did you even warn your staff of how to act in front of your guests? I can say the price is cheap, but man! You call yourself a 4* hotel! The only thing that made me happy was the Marinara pizza, it was soo yum. First and foremost, we would like to say thank you for your feedback following to your recent stay with us and we apologize for inconvenient experience about your check in and especially on the noise because your room is in the ground floor close to the restaurant and swimming pool area. For the check in problem we will improve our service with training our front office staff to reached our guest satisfaction. Regarding the the noisy, we take an action together with our Human Resources Department to train all our staff regarding the attitude and behavior to be more professional. Please rest assured that we are committed to providing exceptional guest experience and your satisfaction is our top priority, however, we understand that we have fallen short of that goal on some areas that you have highlighted these issues will not deter you from returning and we certainly look forward to welcoming you back to Sense Sunset Hotel Seminyak to enjoy a memorable experience with us on your next visit! Pay attention to all negative reviews previously listed . Extremely noisy guests who were fighting in the hallways and heavens above the noise they all made at am for breakfast for 4 mornings in a row. Daily the cleaning crew opened our small handbags and shopping bags while we were out ( we checked by leaving and string in the zippers - they were inside the bags when we returned not where we had placed them . 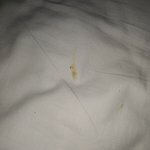 Not a place I would recommend to anyone able to pay a fee dollars more for a cleaner quieter better equipped and hospitable hotel . Warmest greetings from Sense Sunset Hotel Seminyak! Thank you for staying with Sense Sunset Hotel Seminyak, regarding your feedback about your experience staying with us, It is truly regrettable that your experience affected what could have been a more positive experience with us. I have noted your comments on our team members and together with our human resources department make a training plan to train our staff to achieve our guest satisfaction especially in Room Division Department. We would like to extend my sincere apologies on the many instances where we fell short of what is synonymous to our service. Once again, I thank you for your valuable feedback and for staying with us. I stayed here for 4 nights and everything was fine! It is a cheap hotel and you pretty much get what you pay for. Nothing fabulous about it but everything worked! It is located in Seminyak so it was easy to go anywhere! Thank you for posting your positive feedback on your recent stay at Sense Sunset Hotel Seminyak. It is such a pleasure to know that your experience was a good one from our service to the facilities and prime location. We hope to see you again soon and continue to be at your service on your next trip to Bali. I took 25 students and supervisors on their graduation trip. The hotel had very rude people in the reception when we arrived .... Had booked 1 less room than was needed... The bedsheets were not changed for 5 days so we slept on top of them... They didn't put soap or any immedentities you would normally find in a hotel.. You had to use the ones provided in the dispenser and they all smelled the same ( hand.. Hair and shower gels). Them orning buffet is great for a foreigner if you don't mind eating omelet and doughnuts daily for breakfast otherwise it's not a good buffet breakfast. The room service food was wonderful and was delivered to the room with a smile. As mentioned in many other reviews... The noise throughout the night a D early morning is unbelievable so be prepared to wake up early to. Link clink of the dishes in the restaurant and to be awoken all night with the high voices of those who are in the hallway. Wasn't worth the money and certainly was not worthy of being a 3 star hotel even. My team and I would like extend our sincere apologies once again for your disappointing stay experience at Sense Sunset Hotel Seminyak. It is regrettable that our service fell below your expectations. I can assure you that delivering our best hospitality experience to our guests remains the utmost importance us. 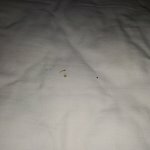 I have discussed with our HR Manager to train and bring punishment our Front Office staff to ensure that we do not compromise on the high quality that our guests deserve, also I take an action with our Room Division Manager as well to make sure that our room is in top condition before the guest arrive. 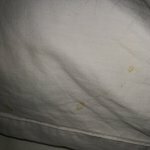 Regarding the sheet actually HK staff supposed to be replace every 2 days guest stayed. And all those smell of Shower gel and shampoo are similar as well. We will interrogate our Room Boy in-charge on that day and promise will give them brief and punishment. We hope there will be another opportunity to welcome you back to a much better experience at Sense Sunset Hotel Seminyak in the future. Stayed 8 night here $28 AUD a night with breakfast through Agoda. Hotel is clean and well maintained great pool for cooling of in the heat of the day. Central to Seminyak, Legian, Kuta and short drive to Canggu.